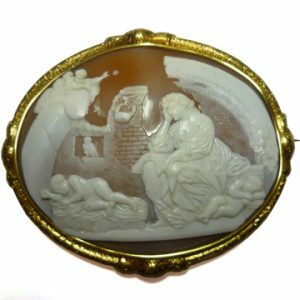 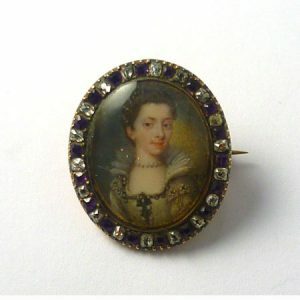 Shell cameo circa 1860-70 AMS5717. 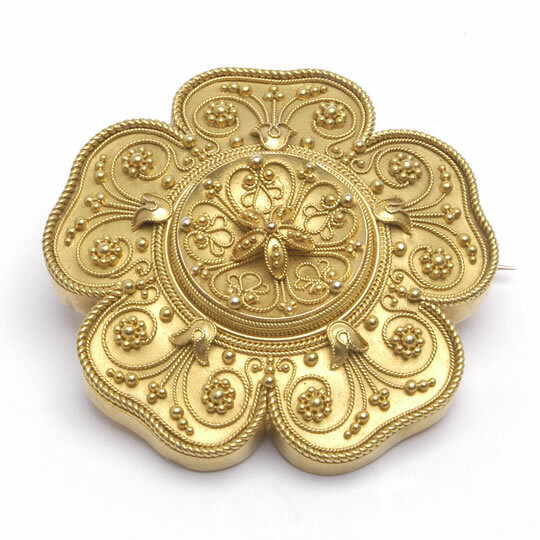 Depicting Nix – the primordial Greek goddess of the night. 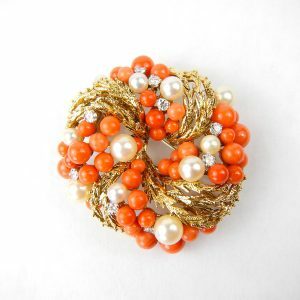 Coral, seed pearl and diamond brooch signed Wolfers. 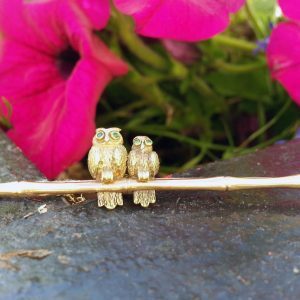 15ct yellow gold bar brooch with two adorable owls set with emerald eyes.